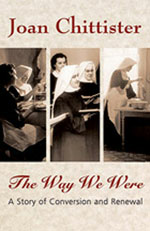 Joan Chittister captures the dynamics of institutional change and the spirituality needed to risk leaping into the unknown through the lens of a single monastic community, the Benedictine Sisters of Erie. This book is both a study of the way change happens and an example of it. It is an inspiring story, addressed to the wider church, about how to redefine the essentials of faith in a time when old ways and formulas no longer serve.